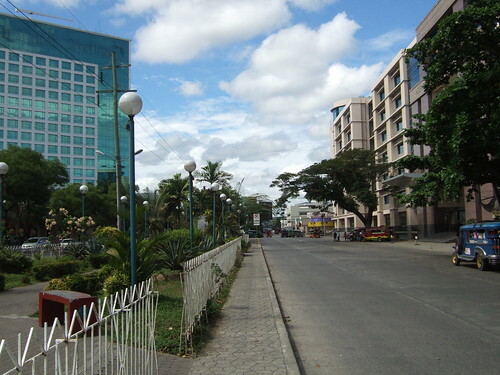 Showing three popular landmarks in Davao City: The Marco Polo Hotel Davao, The Ateneo de Davao University, and The Freedom Park. All accessible along the Roxas Avenue. The Marco Polo Hotel is Davao’s most classy hotel. The Ateneo de Davao University is one of the best schools in Davao. The Freedom Park is the favorite hang-out of freedom lovers in Davao. And the Roxas Avenue connects them all. but people still call it by its old name Magallanes just the other street names in Davao City. In the near future, the Davao Museum will be transfered to the Magallanes Street from its present home at the Insular Village. The construction of the said museum is already underway. This is the prominent San Pedro Cathedral in Davao City. To the left is the San Pedro Street. 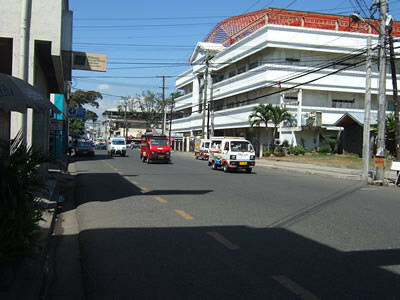 To the right is the Claveria Street also known as the C.M. Recto Avenue.